This edition of the C2E2 Spotlight highlights the description and panelist bios for the geek diversity and inclusion panel. I feel incredibly lucky to be working with these panelists, who have all done fantastic work. Also, Geek Bar Chicago CEO/President, David Zoltan, will be introducing our panel. Ideally C2E2 has given us a larger room than last year, but considering the popularity of these topics, it may be advisable to plan on getting in line a wee bit early. 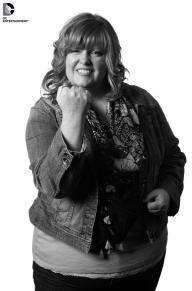 UPDATE 4/24/14: I’m thrilled to announce that comics writer Gail Simone (Birds of Prey, Batgirl, Secret Six, Deadpool) will be joining us as a panelist! I’ve been a fan of Gail’s work for years, particularly her outspokenness on how women are treated in comics – as characters and creators – and the need for better diversity and representation in geek communities. I’m excited to hear what she’ll contribute to our conversation. Thanks for joining us, Gail! As visibility of fans, creators and organizers from marginalized communities increases, geek communities are having more discussions about diversity, tokenism and re-examining just how “welcoming” geek spaces are. 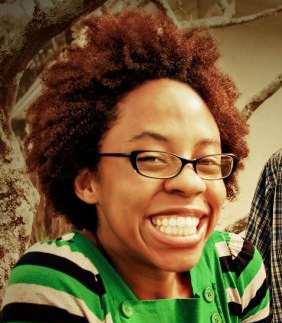 This moderated panel will discuss what “diversity” in geek culture means, what it looks like, and why it’s necessary. Panel sponsored in part by the Chicago Nerd Social Club. 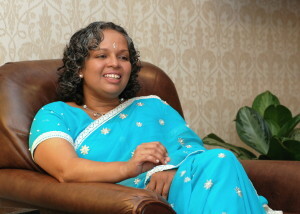 Mary Anne Mohanraj is author of Bodies in Motion (HarperCollins) and ten other titles. Mohanraj founded the World Fantasy Award-winning and Hugo-nominated magazine, Strange Horizons. She was Guest of Honor at WisCon 2010, received a Breaking Barriers Award from the Chicago Foundation for Women for her work in Asian American arts organizing, and won an Illinois Arts Council Fellowship in Prose. Mohanraj has taught at the Clarion SF/F workshop, and is now Clinical Assistant Professor of fiction and literature and Associate Director of Asian and Asian American Studies at the University of Illinois at Chicago. 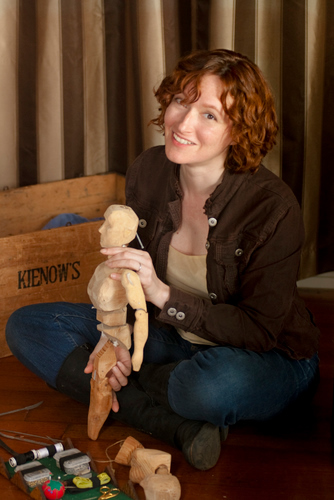 She serves as Executive Director of both DesiLit (www.desilit.org) and the Speculative Literature Foundation (www.speclit.org). Recent publications includeWithout a Map, Aqueduct Press. She lives in a creaky old Victorian in Oak Park, just outside Chicago, withher partner, Kevin, two small children, and a sweet dog. Jeff Smith is the co-founder of the Chicago Nerd Social Club and currently serves as the group’s president. Jeff counts comic books, role-playing games, programming and photography among his nerd badges. Jeff is also the host of the CNSC Podcast. When he’s not running CNSC events you can find him on Twitter as @DarkAndNerdy. If the stars align, you may even see an occasional post at AllThingsDork.com. Jeff will serve as moderator for this panel. 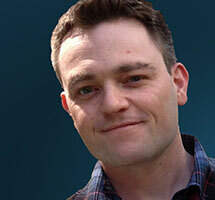 Scott Snyder has written comics for both DC and Marvel, including the bestselling series AMERICAN VAMPIRE, BATMAN and SWAMP THING, and is the author of the story collection Voodoo Heart (The Dial Press). He teaches writing at Sarah Lawrence College, NYC and Columbia University. He lives on Long Island with his wife Jeanie, and his sons Jack and Emmett. He is a dedicated and un-ironic fan of Elvis Presley. Follow him on Twitter at @Ssnyder1835. This entry was posted in Event, Panel and tagged C2E2, Chicago Nerd Social Club, clubhouse, discussion, diversity, inclusion, Jeff Smith, Karlyn Meyer, Mary Anne Mohanraj, Mary Robinette Kowal, panel, Scott Snyder by Michi Trota. Bookmark the permalink.